I'm trying to determine where in Russia the town/city from the passenger list actually is located in Russia today - below pic is for the passenger "Belinsky" showing contact and town/city for 1911 arrival in NY on the SS Birma from Libau Russia to NY. 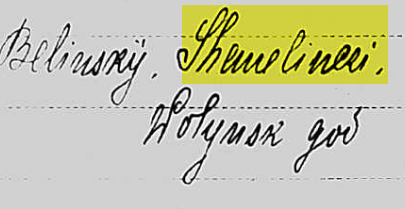 Appears to read "Shemelincsi" Volynsk guberniya. Unable to locate on any map. The best match that I could find is 'Shemetitsa' from the JewishGen Gazetteer. It is listed as a 'populated place' with coordinates 51° 03'N 28° 26'E, which would place it within the Volhynian governorate in the north of modern Ukraine, about 2km SE of Luhyny. I've looked for it with a number of online maps, including mapcarta, and Google Maps and there doesn't seem to be much there today. Mapire have an historical map of the area around Luhyny. 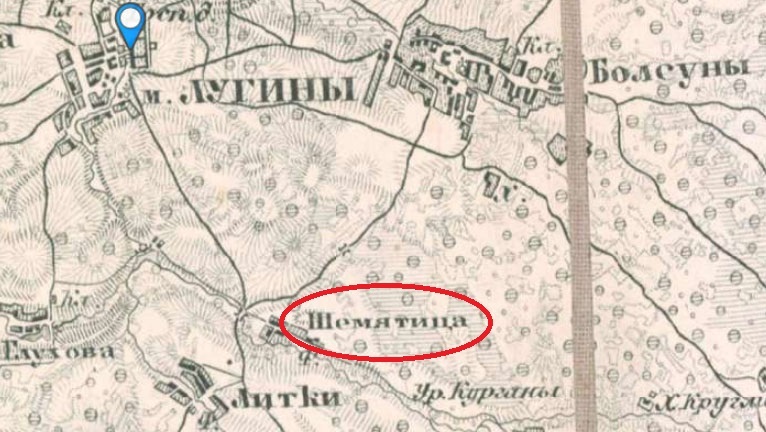 The map doesn't have a scale, and the place names use a Cyrillic script (plus the tape joining the sections of the map is irritating), but there is a settlement to the south-east of Luhyny that may be Shemetitsa. What's written on the card may be an attempt to 'Anglicise' the place name to allow it to be written in the Latin alphabet. 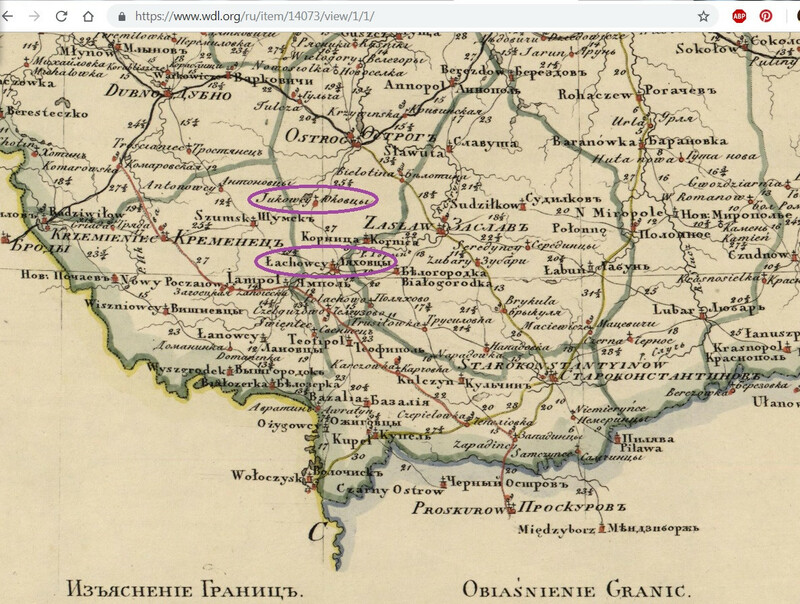 I have checked out the names of villages and towns on the map of Volhynian Governorate (Volynskaya guberniya) and I suppose that the most close to them are Lyakhovtsy ("Lachowcy") https://uk.wikipedia.org/wiki/%D0%91%D1%96%D0%BB%D0%BE%D0%B3%D1%96%D1%80%27%D1%8F and Jukovtsy ("Jukowcy"). https://uk.wikipedia.org/wiki/%D0%AE%D0%B2%D0%BA%D1%96%D0%B2%D1%86%D1%96 The last one I can't decode for now. Do you understand what is written? You need to find the documents about your ancestors to check out who they were. Not the answer you're looking for? Browse other questions tagged palaeography russia historical-gazetteer ukraine or ask your own question. Has anyone ever heard of the town of Husinice, Russia or Ukraine, circa 1912?